Almost everyone who is stepping into the blogging platform, or wants to expand their online business needs to know about the Cloud Hosting. Now there are several types of hosting services available on the internet including Managed hosting, shared hosting, VPS, Cloud, etc. So, what’s important is to be aware of what your business site or personal blog needs. Talking about the shared and managed hosting, they are good if you have a small website or personal blog. However, shared hostings are never recommended for business sites. In fact, managed or shared hosting misses some key features that your business site needs like you can’t scale your server and the resources are being shared with hundreds of other users. This is why users opt for a Cloud hosting service, and it’s best for business sites. Let’s have an in-depth discussion about the cloud hosting through this post! Cloud hosting is usually the network of servers spread across different locations. The great thing about these servers is that they share data and resources among themselves. So, the Cloud Hosting follows the concept of ‘Divide and Rule’ where the resources necessary to maintain your site were spread across different web servers. So, if any server failure occurs due to lack of resources, another web server kicks in and renders the additional resources. Since the web servers shares resources between themselves, Cloud hosting can handle heavy server load and can lead to better performance. In fact, Cloud hostings are known for its performance and its ideal for small to large large-scale business websites and dedicated authority blogs. 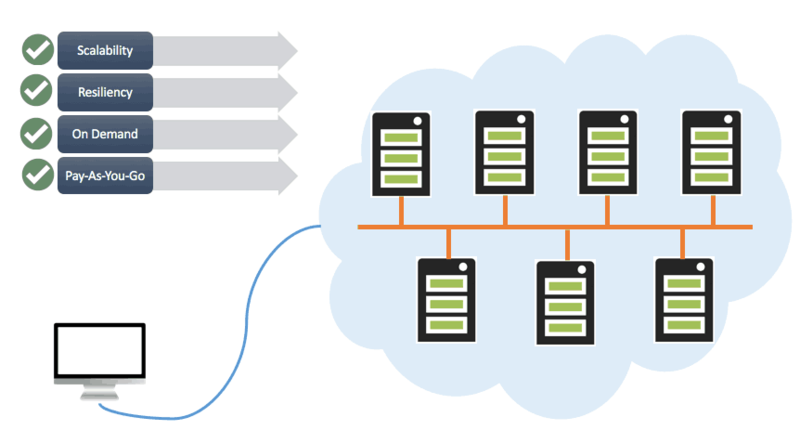 Cloud hostings are fully scalable, and this is what makes it interesting. On shared hosting, you are only limited to a single server whereas on cloud hosting you can utilize the resources of multiple servers. Hence, it won’t be wrong to claim that cloud hostings are more flexible, scalable and reliable compared to the shared hosting type! What Are The Benefits Of Cloud Hostings? Cloud hostings do have some serious advantages over the shared ones. Below, we have highlighted some of the best features of Cloud hostings. Security is one of the critical points that gives an upper hand to the Cloud hostings. But, it was the service providers who decide the security level of the cloud hosting. 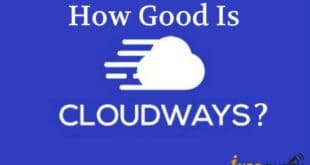 Few cloud hosting providers like Cloudways and Kinsta employs multiple security measures to protect the servers and websites. Another great thing about Cloud hosting is its fully scalable nature. You can easily monitor and allocate additional resources if your site needs. The same thing also reduces the extra costs of server resources during the season of low traffic because you can quickly drop the additional resources. On Cloud Hosting service, your sites can be accessed from different locations. The Cloud Server usually pools resources from the virtual server that’s closer to you which leads to better speed and performance. Since shared hostings are meant for small business and VPS are made for large-scale business, there’s Cloud hosting that lies in between. Cloud hostings are the perfect choice for small to medium-size business or active personal blogs. Due to its ‘Divide and Rule’ concept, Cloud servers will provide you with excellent stability. Now that you are fully aware of Cloud Hosting and its features, it’s important to know that not all cloud hosting services that you find on the internet is the same. They provide similar features, but they are a bit different from each other. Cloud hostings were divided into three types – Public, Private, and Hybrid. Well, Public Cloud is what’s available to the Public. The cloud hosting services that you usually see on the internet are the Public ones. Some of the Major Public Cloud providers are Amazon AWS, Microsoft Azure, etc. Private cloud is limited to large business holders or organizations. On Private Cloud, you get a dedicated IP, and your resources were not shared with hundreds of other people. So, this could be the best option for those who are looking for more security and stability. Hybrid cloud is the perfect combination of both Public and Private cloud. It combines the security features of Private cloud with the easy-to-access features that you get with Public Cloud. So, its meant for those who are looking for an easy to manage Cloud VPS with a higher level of security. What’s The Future Of Cloud Hosting? Well, back in 2014, cloud hosting was not given much importance, but since our digital world is evolving each day and more new users are joining the internet, Cloud Hosting has recorded steady growth over the past few years. It’s worth to note that everyone starts with shared hosting or managed hosting, and later they shift to the Cloud hosting because of its scalable nature. We are pretty sure that the demand for Cloud hosting will continue to rise, but the pricing needs to come down a little bit. The pricing of Cloud hosting has fallen over the last 2-3 years; still, it’s not the best platform to host sites with low traffic due to its price tags. The price of Cloud hosting usually starts from $10 per month, and it can go beyond $100+ per month. However, Cloud hostings can be a worthy investment because you get lots of feature and freedom by paying that extra buck. Cloud hosting might look interesting at first glance, but there are a few things that you need to consider before you choose any plan. Before picking any cloud hosting service, make sure to check the security level and the reviews. 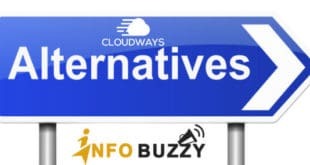 Since there are tons of choices available on the internet when it comes to the cloud hosting, make sure to pick the plans of trusted server providers like Cloudways, Hostinger, Digital Ocean, SiteGround, etc. Pricing is another thing that you need to consider. Every cloud hosting providers have different plans which starts at different prices. Therefore, if you are new into the cloud world, then make sure to pick the plan that your site demands. If you don’t have a big budget, get the cheap hosting service and move to the well-known later. I’m using the managed cloud hosting services for my blogs and hence shared these details with you. If you need any help or suggestion in buying the right cloud hosting plan for your serious business or authority blog, then catch me through the comment section. 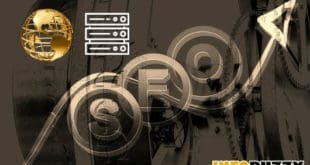 Previous Why Should You Get The Fastest Hosting For WordPress?